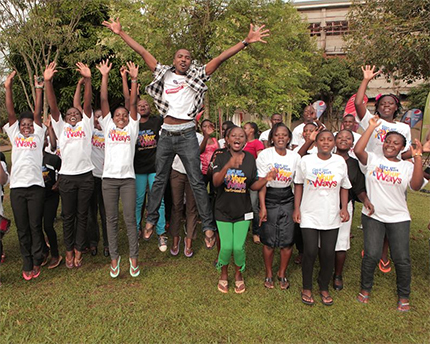 Very many young people grow up unaware about their sexual and reproductive health and rights (SRHR) because of a number of reasons. Some have far from generous parents who will not share this vital information while others are unlucky to study in schools where sharing of such information is frowned upon and even considered taboo. A number of societies do not make things easier for these young people as they have plenty of misconceptions and wrongly spread messages about the SRHR. Generally speaking, the African society is one that does not exactly condone public dissemination of information regarding SRHR. For this reason alone, a good number of youths struggle to come to terms with their roles, duties, expectations, shortcomings, worries, fears, abilities and strengths as either male or female. So we eventually end up with a crop of young people who are oblivious to their sexualities. The danger here is that young people will eventually learn things somehow. And so if they are not given direction and guidance, they will probably learn from the wrong sources and this will only aggravate the situation. The onus is therefore on everyone to take a moment and think about what role they are playing to help young people understand their position when it comes to SRHR. Each person has their own SRHR and they need to be enlightened on what specific details are involved. Parents should not leave the work to the teachers and teachers should not return the favour by leaving the work to parents. In the same breath, both parents and teachers should not sit back and wait for the society to educate and enlighten their children because the only way this can end is badly. Instead, there should be concerted effort on the part of all parties so that at the end of the day the young people are properly and appropriately inducted into the system of appreciating and properly practicing SRHR.